Oklahoma Baptist women can look forward to the Missions Celebration and more at Annual Meeting, Nov. 13-14 at Oklahoma City, Quail Springs. The theme of Annual Meeting is “Disciple!” with an emphasis on Matt. 28:19-20. On Nov. 14 at noon, in the 6th grade room at Quail Springs, there will be a Young Pastors’ Wives lunch. “We wanted to give the wives of pastors in the Oklahoma Young Pastor Partnership, led by Rusty McMullen, an opportunity to fellowship,” said Amy Cordova, Baptist General Convention of Oklahoma women’s mission and ministry specialist. 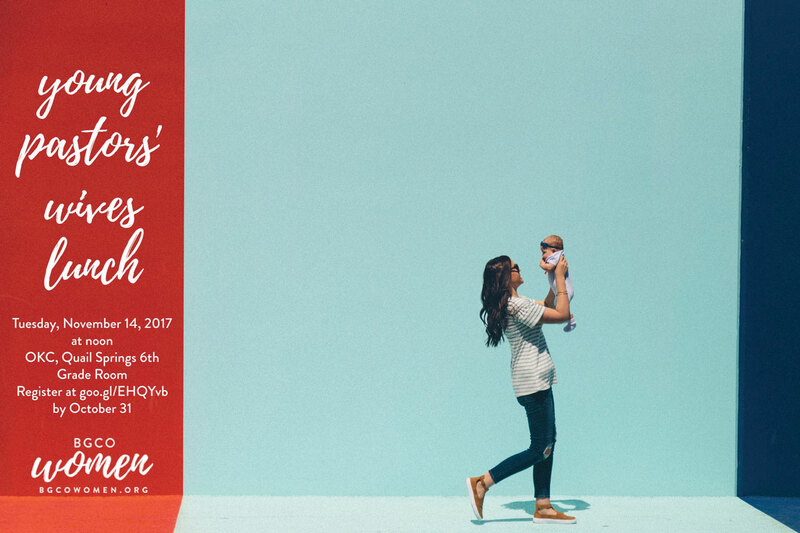 The Young Pastors’ Wives lunch is free of charge, and children of all ages are welcomed to the event. There will also be a “Missionary Parent’s Fellowship Luncheon” and “Missionary Appreciation Dinner” at Annual Meeting. Registration for all meals is online. Katie Orr is the featured speaker at the Missions Celebration, which will take place Nov. 13 at 2 p.m. in the chapel at Quail Springs. While speaking at the Missions Celebration, Orr will focus on the theme, “By all means,” a Women’s Missionary Union initiative. “We really want to focus on taking the Gospel to the nations by all means,” said Cordova. “So we’re encouraging the women of Oklahoma to be on mission and to make that a priority in everything that they do. Katie Orr will speak at the Missions Celebration. Orr is passionate about equipping busy women to experience God daily. She is an enthusiastic and dedicated teacher and speaker, podcaster and prolific writer for blogs, magazines and Sunday School curriculum. 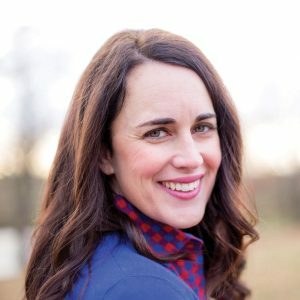 A former Cru (Campus Crusade for Christ) staff member and mother to three young children, she and pastor-husband, Chris, are part of the church revitalization movement. “The vision of the Missions Celebration is that we’re looking out to the nations and God’s heart for the nations. He is constantly pursuing people, and how He pursues people is through us,” Cordova said. The three main discussion points at the Missions Celebration, Cordova shared, will be, first, by all means sharing the Gospel; second, being on mission and what God is doing around the world in missions; and finally, how women can be involved throughout the convention. To view more details about the Women’s Mission Celebration at Annual Meeting and to register for Young Pastor’s Wives, Missionary Parent’s Fellowship or Missionary Appreciation meals, visit www.bgcowomen.org/missions-celebration.